Home → Discipline Answers → Should I put the kids’ names on the Hierarchy with clothespegs? Should I put the kids’ names on the Hierarchy with clothespegs? I’d like to put my student’s names on clothespegs and then move them to different levels on the Hierarchy chart if they misbehave or do something at a high level? Does this fit with the DWS approach? Although it might seem as if clothepegs on the Hierarchy chart create a concrete visual to help remind children that they always have choices with regard to their level of operation, putting student names on the Hierarchy would not be compatible with the DWS philosophy. It’s not possible for any person to judge the motivational level of another. For example, if you watch kids in the classroom or on the playground, you can’t be absolutely certain if they are operating on Level C or D; typically the actions of Levels C and D look the same. Looking at a child, you can’t know why they might be doing their tasks well, why they might be behaving cooperatively, or why they might be choosing to do something kind. Although we can guess, we can’t always accurately judge if a child is internally or externally motivated. For example, if you witness a child being kind to another, it could be because the child is exhibiting heartfelt kindness (Level D), or it could be because he/she was hoping to be invited to that student’s birthday party on the weekend (Level C). If adults can’t judge motivation, then we can’t accurately put a name to a level. Although it might seem as if the solution would be to have the children move their own markers, thus allowing for student reflection, other issues would then come in to play. Whenever such an assessment is done publicly, there is greater chance that children’s motivation for placing their markers will be affected, as will their ability to be perfectly honest with themselves. One of the three principles of DWS is The Principle of Self-Reflection. If the teacher moves a child’s marker from one level to another, then the teacher––rather than the student––is doing the thinking. Genuine and long term changes are fostered by self-reflection. Surprising as it might sound, giving attention to students who operate on Level D is very likely to affect their high level of motivation. Often a child who is praised or publicly recognized for Level D, may in the future be motivated for external reasons. Motivation to please others or gain attention is Level C, not D.
Moving names on the Hierarchy could easily lead to competition among students and parents alike, which to my way of thinking isn’t a positive thing in the classroom. Attaching a child’s name to the lower levels would likely bring forth negative feelings in the child. It doesn’t reflect the positivity principle of this approach. 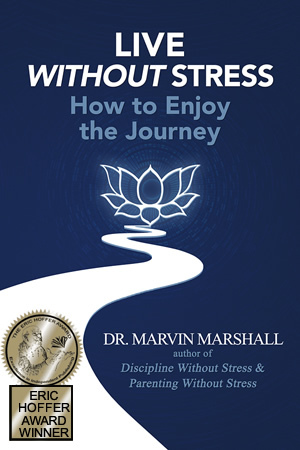 Behavior choices are made on a moment by moment basis. Using DWS, we want to encourage kids to understand that they are making choices every single moment of the day. That way, if they find themselves in a poor situation, they know they can immediately turn it around by choosing to act on a higher level. This idea is called Choice-Response Thinking and is one of the understandings that make DWS so positive. If names were to be placed on the Hierarchy chart accurately, they would almost need to be in constant motion; an organizational nightmare to say the least! 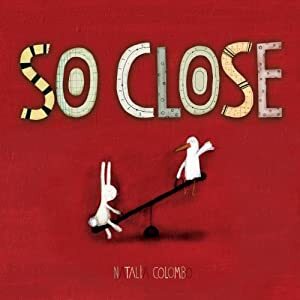 Picture book for all grade levels - "So Close"